We are the Official Alumni Chapter of The University of Alabama. We are located in the city of Irvine in Orange County, California. We were founded by our dear friend and Alumni, the Late Gregory Hook. It was his vision that enabled us to come together and form the group now know as the Orange County, California, Alabama Alumni Association. We honor his vision by moving forward and growing this chapter in the spirit of his love for the University of Alabama and all it stands for. His name will forever be associated with the best that we have to offer the alumni and our community and is the inspiration for our mission statement. Our mission is to further the support and awareness of all things pertaining to The University of Alabama, its alumni, family, and supporters. 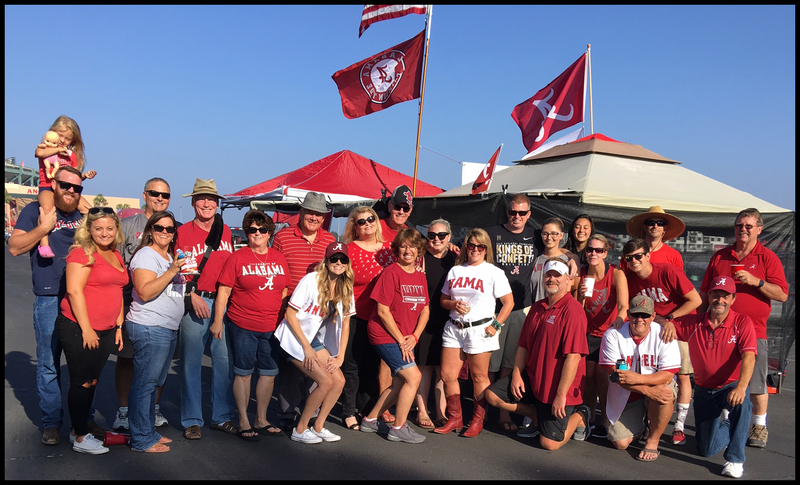 Our membership is comprised of Alumni, family of current and past attendees, fans, and supporters of The University of Alabama. One need not have actually attended the university to become a valued member. Our alumni association is governed by a Board which is comprised of both alumni and spouses as well as proud parents. We encourage any and all who are interested to contact and join our association. Remember to follow and like us on Facebook (University of Alabama Alumni Association – Orange County, Ca. Chapter).